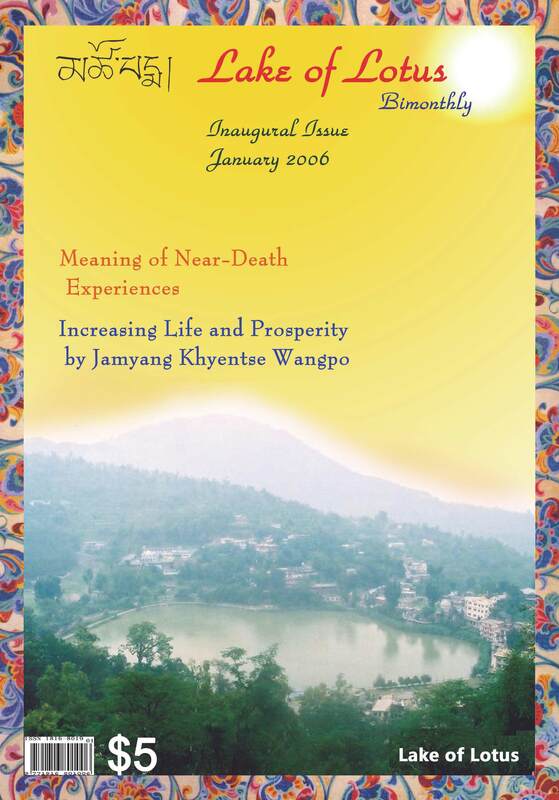 All Issues of the “Lake of Lotus” (Tsopema) – our Bilingual Buddhist Journal – have now been uploaded, and are Available in English, Traditional Chinese and Simplified Chinese versions. Explaining the Mysteries of the Universe. The Dudjom Buddhist Association (International) was founded in Hong Kong by Ven. Vajra Masters Yeshe Thaye and Pema Lhadren in January 1998, and will be celebrating the 20th Anniversary of its founding by early next year. 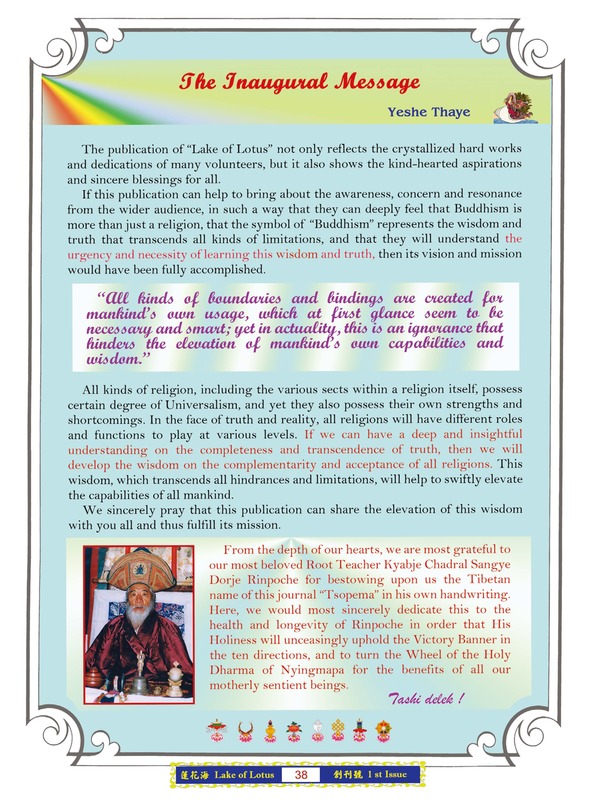 Its website has now provided free downloads of its bimonthly English-Chinese bilingual journal, the “Lake of Lotus” (Tsopema), for world-wide circulation and distribution free of charge. Their English-Chinese bilingual journal “Lake of Lotus”, together with a free distribution of DVDs on the Buddhist teachings, has been widely circulated in all of the convenience stores locally in Hong Kong ever since January 2006. In order to provide for a wider audience across the world, it is now further distributed free of charge for easy download in eBook format at http://www.dudjomba.com. Due to its thought-provoking insights, while using scientific investigations in explaining the Buddhist teachings, the Association has now been widely acclaimed as one of the most influential Buddhist organizations in the world.